Backyards are among the most fertile theaters for radical political conversions. Just look at me. For many years, we’ve lived in the same house in a coastal neighborhood associated with bird guano, roundabouts and small lots. We’ve noted the outbreak of short-term vacation rentals (STVRs) — and the ensuing blowback — but have viewed the proliferation with nonpartisan detachment. Our block is a mix of weathered bungalows and remodels. Lots of young families, retirees, dogs. A neighbor or two can go on vacation and rent their home out for a week or two, but no one minds much. Hand-picked guests have blended in without incident. But then, a couple of weeks ago, without a word of warning, a $110-a-night motel opened next-door. 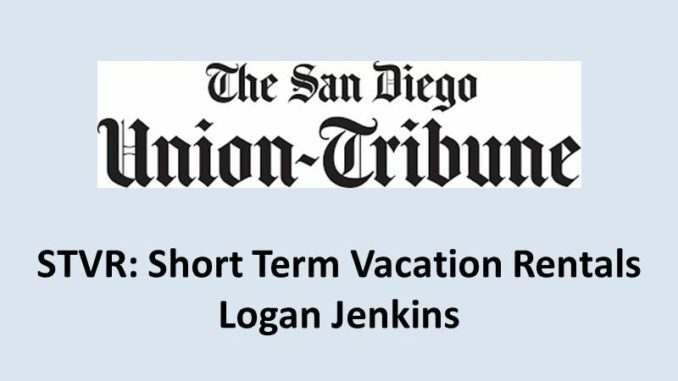 Editor’s note: A Short Term Vacation Rental (STVR) plan is reportedly to be announced by Mayor Faulconer’s office in July. UCCA urges all to contact City Councilmembers and the Mayor’s office for more information and to express thoughts and opinions on the STVR issue.